These stemless wine glasses are perfect for your next coctail party. A list of rules for the beach...just in case your guests can't remember them. Easy to remember which glass is yours. 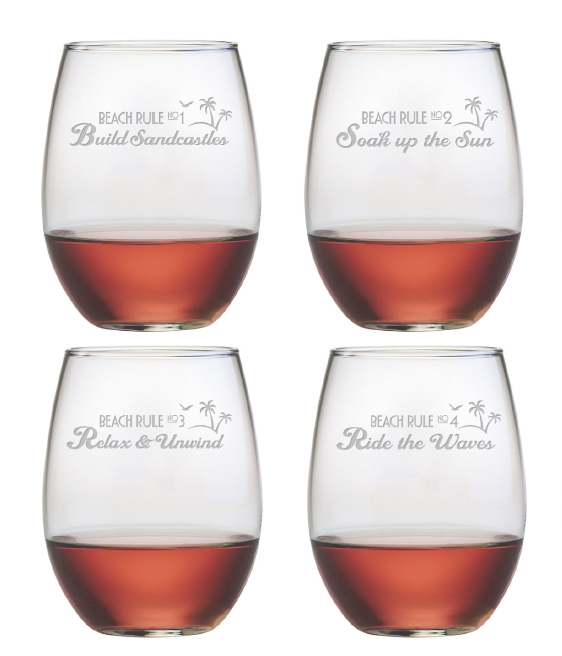 These coastal glasses hold 21 oz of your favorite vine. Sold in a set of 4. Custom made in 7-10 business days. Ships FedEx or UPS ground. Not eligible for return. Please view our return policy for details.